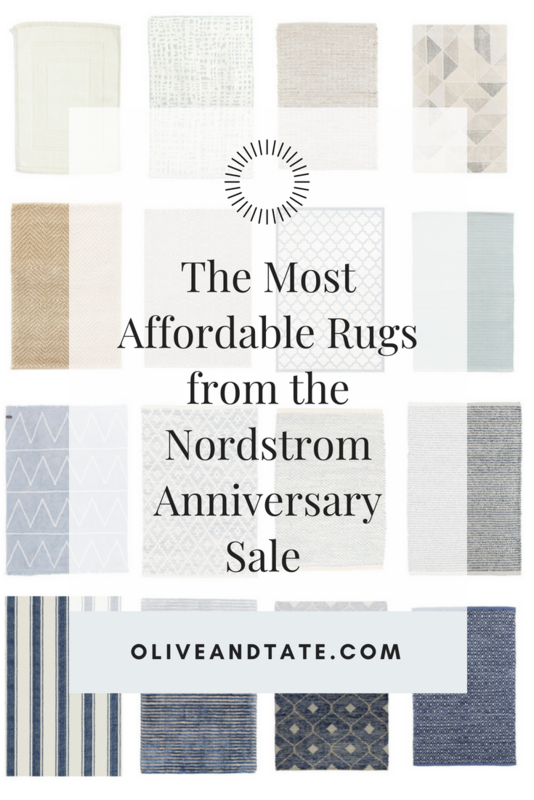 Nordstrom Anniversary Sale: Home Decor and Rugs! 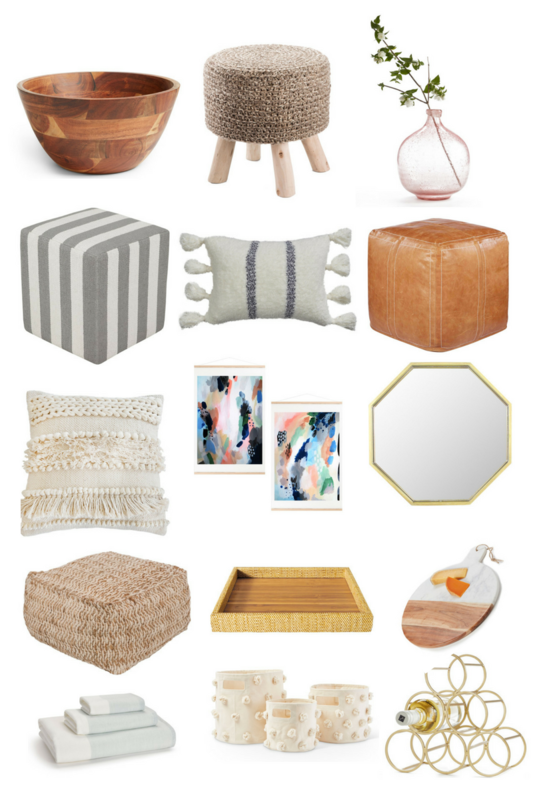 I am here to tell you that the prices in the Home section of the Anniversary Sale are the best of the best. And no one is shopping it - it's all in stock and ready for you! I am breaking this post into two sections; home decor and rugs because the rug selection truly overwhelmed me with it's beauty and price point.You'll notice a lot of the items in the home decor section look like pieces in my home, and many are transitional so they could "live" in any space in your house. 1. Wooden Bowl || Use it as display on shelves or a kitchen counter, as a serving piece or for a great, inexpensive hostess or wedding gift. 2. Ottoman/Stool || Also available in cream. I can perfectly envision this as the ottoman at the foot of a rocker in a nursery! It's a great piece to bring in natural texture! 4. Striped Ottoman || also available in navy stripe. This little striped ottoman reminds me of the Serena & Lily ottoman but with a price tag that I can stomach. 5. Stripe Throw Pillow || also available in grey stripe . Bedroom, sofa, guest room, wherever, this little guy will tie it all together. 6. Leather Ottoman || This may be my fave find of all - these leather ottomans are on the higher end (as all leather goods are) but the color is perfection and I haven't seen a price this low. 8. Art Duo || This pair of paintings reminds me of the piece we have in our nursery - this is the perfect way to start an art collection or to bring a pop of color into a home. 9. Octagon Mirror || I love a simple gold mirror and the octagon shape elevates this one above the rest. The price is currently lower than a similar version at Target! 10. Jute Ottoman || I really struggle to find neutral, classic ottomans of sturdy construction (because, kids) at a reasonable price point but this jute and cotton ottoman fits the bill! 11. Woven Tray || Another neutral piece that will bring texture to any home style, spice this up on your nightstand with your jelwelery and perfume or stash it on your coffee table to hold the remotes! 12. Marble and Wood Cutting Board || We keep our pretty cutting boards out on display and I love that this one has a blend of marble and gold tones. 13. Towel Set || Make sure you check out the product photos for these little babies, they look so, so crisp hanging on an exposed hook in a bathroom! We have similar in our kid's bath. 14. Tassel Storage Bins || Look familiar?? Yep, we use our tassel bins in our playroom and love them! 15. Gold Wine Rack || My current wine storage situation is just to stash the bottles on the top of the fridge so I'm going to need this guy to up my game. Another great hostess gift or holiday gift for co-workers! Don't Miss: These blackout curtains! || Currently in stock in 4 soft shades, this is a crazy good deal for blackout curtains! And now for the RUGS! I am so surprised that I haven't heard even a hint of the rug sale goodness that is happening here but I'm thrilled to round it all up and show you how pretty it all is. 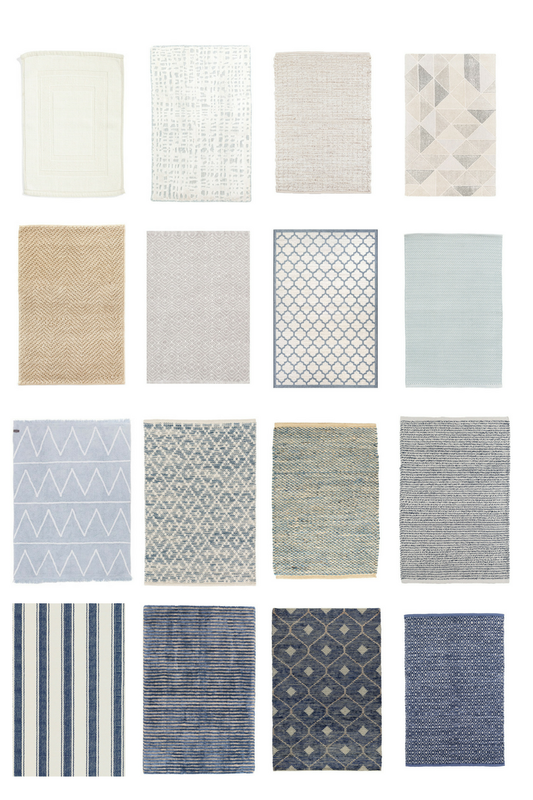 Many of the rugs listed are available in multiple colors and in many sizes so be sure to click pop over and check out a full listing if you see one that you like. I'll be the first to admit that one of the rugs comes in a fun shade of hot pink but I linked the blue because I'm boring, so don't forget to investigate!